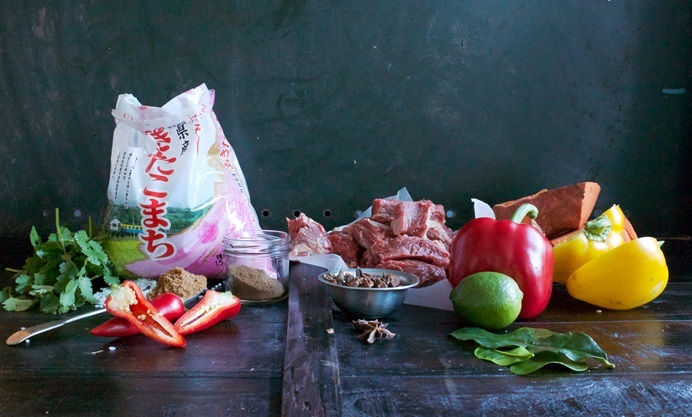 Georgina’s simple beef stew recipe is packed with flavour from an aromatic blend of star anise, soy and chilli, with the hot and hearty flavours tempered by tender sweet potato. 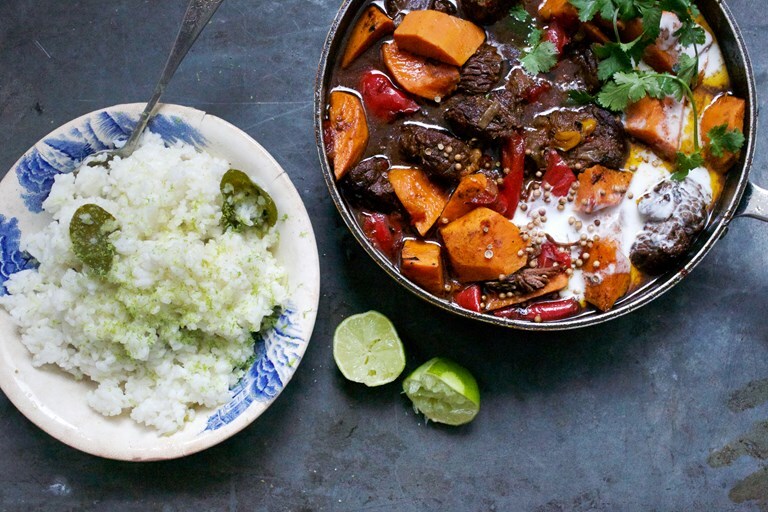 She serves the stew with a delicious lime rice, infused with lime leaves, zest and juice for a wonderfully tangy finish. This recipe combines the fragrant flavours of Southeast Asia with British-style casserole cooking. 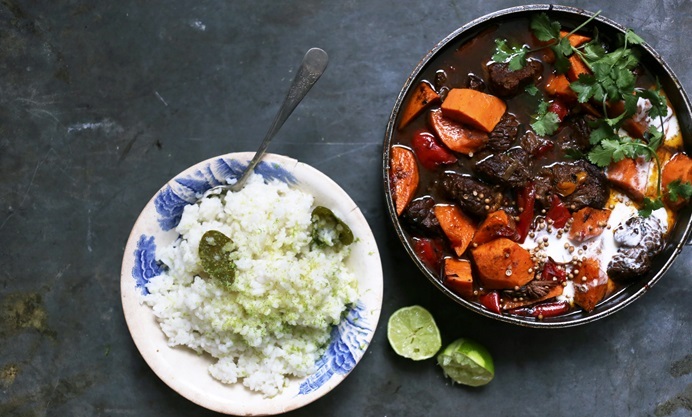 This thick and shiny dark stew is laced with sweet soy, firecracker spices and liquorice tones, and is accompanied by creamy cubes of sweet potato. 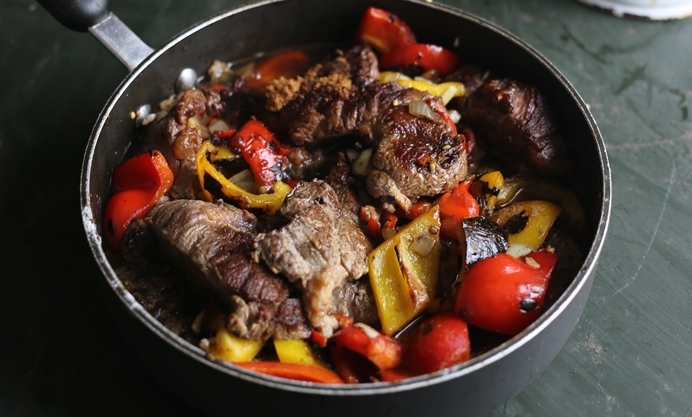 Beef shin is slowly cooked in the sauce with charred peppers and aromatics until tender and falling apart. Sweet potatoes are added for a final hurrah and cooked until just soft. To complement the rich stew I added a lively lime rice, made by simply simmering beautiful Akafuji Akitakomachi rice with fragrant lime leaves. 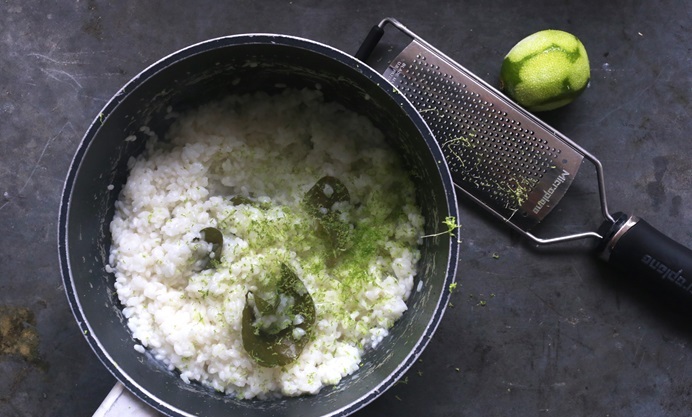 Once the rice is cooked and fluffy, fresh lime zest and juice is added. It’s a wonderful, slightly acidic accompaniment to the sweet, soft beef. Serve in the colder months when you need a dinner to warm you from the inside out.